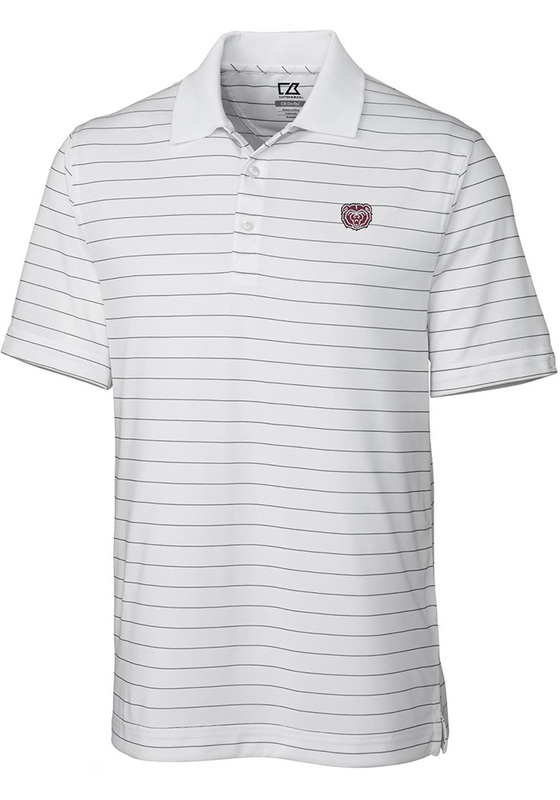 Showcase your Missouri State Bears pride at the office or on the golf course in this Cutter and Buck White Franklin Short Sleeve Polo! You'll look sharp in this Bears Polo, which features a team embroidery on chest. This MO State White Franklin Short Sleeve Polo Shirt is the perfect update to your professional wardrobe. The Franklin polo from Cutter & Buck is an Awesome shirt. This is one of my favorite polo's that I have in my closet. It is comfortable, it washes fantastic, and it wears very well. Highly recommended!! This search is great. It's versatile enough to wear in the office or on gameday. Great material.